When University of Iowa student Mollie Tibbetts was murdered in July 2018, it was discovered that her killer, Cristhian Bahena Rivera, was in the country illegally, with the aid of forged documents. Four years earlier, he had managed to gain employment at Yarrabee Farms in Brooklyn, Iowa (where Tibbetts was killed) using an Iowa ID and a Social Security card, which was later determined to be fake. Rivera now sits behind bars, where he faces the prospect of spending the rest of his life, awaiting trial for first-degree murder. But the incident also chillingly spotlights the trouble that forged work documents can bring for businesses — like the one that employed Rivera — that can face steep penalties and legal punishment for hiring workers illegally. Because of a crackdown on I-9 records from Immigration and Customs Enforcement (ICE), more and more employers are finding themselves on the hook. Forged documents and sloppy recordkeeping can — even unknowingly — leave employers on the hook. Fines for hiring an undocumented immigrant range $250 to over $2,200 per illegal employee for first time offenders. Second offenses often cost $2,000-$5,000, and a pattern of illegal hiring practices can lead to fines in the millions for large companies, and even a jail stint of up to 6 months. And these fines apply to more than just attempts to circumvent the law; failure to keep accurate records can be just as costly, even if it’s only accidental and chalked up to “paperwork errors.” Compliance with the I-9 process can be cumbersome if a company doesn’t have a reliable digitized record-keeping system in place. It has never been under more scrutiny than in 2018. The expensive fines might even pale in comparison to the damage companies sustain in the court of public opinion, which can be just as costly. Just ask Yarrabee Farms, which employed Rivera. The small, family-owned dairy farm whose history traces back six generations to 1860, believed Rivera was in the country legally and that his documents were authentic. According to co-owner Craig Lang, the Social Security number he had provided was verified by the Social Security Administration. The farm didn’t use the government’s E-Verify system. That Rivera “was not who he said he was,” was an unwelcome surprise, according to Lang. That didn’t stop the dairy farm from receiving an onslaught of bad publicity; Yarrabee Farms and the Lang family received over 100 hostile messages, death threats, and even threats to kill Lang’s dog. 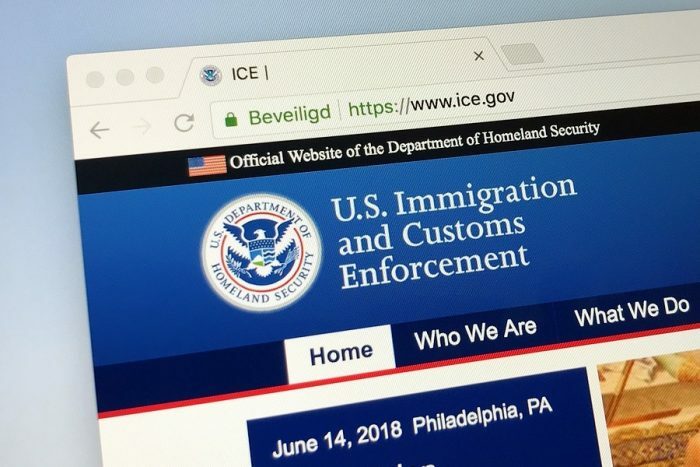 If being subject to an audit seems unlikely, think again: ICE audits of I-9 employment verification quadrupled in 2018 over last year, with over 5,200 Notices of Inspection delivered in the first six months of the year alone. These audits took place all over the country and resulted in dozens of arrests, with emphasis placed on employers with previous I-9 violations. Employers are not required by law to be able to spot every fake document an employee might present them with — they aren’t forgery experts. But with penalties and the potential hit to their reputation so pricey, and with the recent surge in audits, why take the chance? Businesses need to be prepared and have all their records in order. It’s HR’s job to ensure this. In addition to first verifying all work documents and ID’s, and ensuring all hiring staff knows how to properly fill out the I-9 and other paperwork, it’s important to have all documents organized, with strict practices according to all local and federal hiring laws. If an ICE audit comes knocking, you don’t want to be scrambling to find what you need. A digitized record management system is the most effective. When served with a Notice of Inspection from ICE, your business will have three days to present them with all the necessary paperwork and I-9’s. Digital records ensure everything you need to prove compliance is where it needs to be. Having HR documents in compliance with hiring laws and secured with digitized record management adds a safety net to help avoid complicated issues. Paper HR records can be forged or tampered with, so keeping them under lock-and-key protects against unauthorized or accidental changes. In the case of electronic I-9’s, the storage system is mandated by law to have certain security measures built-in, such as audit trails that record every time the document is accessed, moved or modified. And, if you do find yourself subject to an audit, be sure that you keep a copy and record of all documents being handed over to ICE — and of course, contact your lawyer. With a bit of preparation, a potential audit will go more smoothly, and won’t result in the fines and bad publicity that hit Yarrabee Farms. Larry Bennett is the CEO of AccuImage, a 30-year leader in document and information management services based in Santa Clara. Their document processing and information management systems have been used by some of the world’s biggest brands in a variety of industries, including companies such as Nestle, PG&E and NVIDIA.